Will Genneva Investors Get Back Their Money? 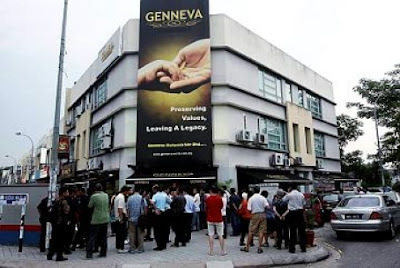 When Genneva Malaysia Sdn Bhd's offices got raided by Bank Negara Malaysia just recently, it was a very big news on TV. So the first thing my parents ask me is whether I have invested my money to them. My answer to them is a simply a "NO", I am not brave enough to part with my money.The reason that they are so fearful is that last time my parents invested in Swiss Cash without me knowing it. 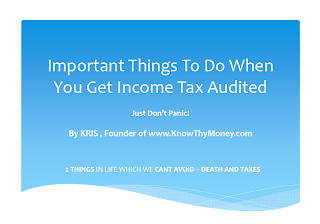 If I were to know about it, I will surely advice against it. Fortunately, the losses are small compared to some of the investors out there. 1. The company has been operating for a such a long time in both Malaysia & Singapore. Of course, when BNM raided Genneva , our Singapore cousin decided it is a good time to follow suit. It was also on MAS (Monetary Authority of Singapore) watchlist for quite some time. 3. With the fall of Bestino Golden House, that has similar scheme with Genneva Malaysia, there is still alot of people staying vested into the scheme. And there is even a new batch of people buying into the scheme. I recently heard that my friend's father has just vested in it. Hopefully not so deep in already. 4. With the current fiasco, even if Genneva Malaysia comes out unscathed aka BNM finds them innocent (IMHO, highly unlikely), there will be a "bank run" from panicky investors that wants to withdraw their gold investment. It is nearly impossible to repay everyone in such a short time, even big "former" US banks (most went to instant bankruptcy) have this instant liquidity problem. Hence, there WILL be a group of investors urging other investors to stay calm and remain confident so as not to withdraw their investment. Their situation will be like those stock investors who still foolishly holding to their limit down stocks while other are selling like mad. Or even worst , they are the ones selling/cashing it while asking other people not to sell. You get what I mean? 5. From the new articles, Facebook postings, Genneva Malaysia investor comes from a wide range of society. Many of them invested their whole life savings into the scheme. 6. There are other similar gold scheme offered by other "GOLD" companies that is still operating freely in the market. They even had the audacity to offer "rescue packages" to the current stricken Genneva Malaysia investors. Which boils down to the question that a lot of people have for those brave ones that accept: "You want to KENA the 2nd time?" "Trick me once, shame on you. Trick me twice, shame on me"
7. Gold companies like Genneva Malaysia's cash holdings/assets are not protected by BNM regulations if they decided to fold up. At least if our local banks went bankrupt, (as seen on US banks), the BNM will protect your deposits up to RM60,000 per account name. In short, I am lending my support to Genneva Malaysia's investor to get their hard earned money back if they want to cash out. You can support them by giving your moral support, comments on their Facebook page. (http://www.facebook.com/GennevaWorld). Person behind is government, I heard? There still a lot of fools out there that is still in self denial over the entire Genneva fiasco. They still have faith in Genneva. It is truly a splendid scam! !